Following on the heels of our recent lottery scams update issue, this week we throw the spotlight on a related ploy — the online games scam. We identify the 7 most common types of this Internet fraud, from phishing scheme traps to bogus jobs testing video games. But to help you lighten up a little, we also point you towards some fun (and legitimate!) games that can help you learn more about all manner of scams. 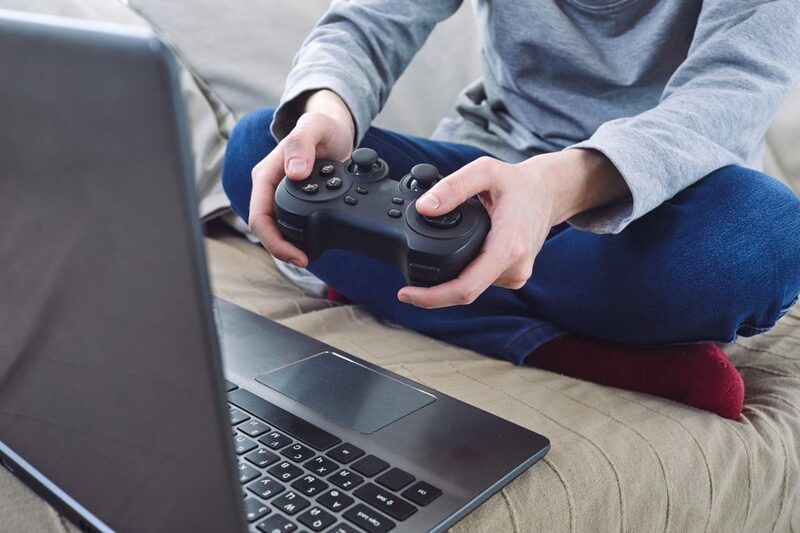 In a business said to be worth a total of more than $15 billion, online games scam incidents have soared in the past couple of years. Fans of multi-player role-playing games, cell phone quizzes and online casinos have handed over all kinds of swag, from virtual “gold” and other imaginary credits, through real cash to personal details in a phishing scheme aimed at identity theft. The irony is that, in at least some online games, it’s perfectly legit to scam others within the scope of the gameplay, though not, of course, in the real world! In this online games scam, users download a game onto their cell phones that secretly dials long distance and premium line calls — in one reported case apparently dialing a number listed in the Antarctic! Users don’t know what happened until their phone bill arrives — and even then only if they bother to check the call logs in detail. Action: This scam principally targets users of Windows Mobile phones and the particular program in question features an anti-terrorism game. But the general rules here are to be cautious about downloading free phone games and always to check your bill carefully (and frequently, you can usually do this online). Another cunning online games scam that exploits cell phone users uses social networking games that require players to earn credits so they can run virtual businesses and other activities. Desperate for these credits, victims encounter other “players” or even receive emails, offering them free credits if they’ll view ads or take part in other quizzes. Sometimes, the advertising-driven offers are genuine but the quizzes — frequently of the “test your IQ” variety — ask users for their cell phone numbers so that their results can supposedly be texted to them. Hidden in the fine print for these offers is the old familiar trick of signing victims up for a recurring monthly fee (charged to their cell phone and usually about $10) for services like ring tone downloads, astrology forecasts, and so on. This online scam allows crooks to target youngsters who might not have access to credit cards but whose cell phone bills are often paid by their parents. Action: Make sure your kids are aware of this scam, always read the fine print and, again, carefully scan your monthly phone bill. Learn more about cell phone scams in one of our earlier issues, The 10 Most Common Cell Phone Scams and How to Avoid Them. Scammers trick victims into paying a one-off fee, usually about $40, for supposedly unlimited downloads of games for PCs and gaming devices like PSPs and Xbox. All you actually get for your money is a set of links to file sharing sites whose legality is, at best, dubious. These “torrent” sites enable users to swap games and other files — in most cases, it’s a form of piracy. We don’t recommend ever using these file sharing sites because they not only peddle this copied, pirated software but also host a minefield of malware you can easily and unknowingly download. Even so, access to these sites does not require a $40 passage through a gateway to find them! Americans spend a small fortune every month playing online games like poker, blackjack, roulette and other casino games. There are no federal laws against this (though it’s illegal in some states) but banks and credit card companies are effectively prevented from transferring money directly to online gaming sites and many states forbid the operation of gaming sites based within their jurisdiction. This often means players have to channel their money through third-party operators and play on casino sites based outside of the US — two highly risky activities. Some of these operations are perfectly honest and reliable. But others are no more than fronts for stealing your cash or confidential information. They use all kinds of deals to entice you, including free bonus plays (once you’ve deposited a certain amount) and good winning odds (usually fabricated). Action: Do an Internet search on any site you’re thinking of using — but beware, some phony sites actually have other sites carrying bogus recommendations for them or even dressed up as anti-scam web pages. Even with legitimate operations, check the fine print — the terms and conditions — carefully. Some conceal limits on winnings. This is no more than a gaming version of the well-known phishing scheme in which a user is fooled into giving away his/her account details. Players receive an email asking them to confirm a password change. The link in the message takes them to a phony sign-on page (notably for the hugely popular game World of Warcraft) that requests their “old” sign-on details. Once they have this, the scammers immediately log on to the victim’s account, download their credits or virtual gold, which they then sell online. Action: You’d think WoW gamers would be savvy enough not to fall for this, but they do. The answer, of course, is not to click on links in these messages but to go directly to the site admin and check your details there. Because many online games use credits or other assets that have a nominal monetary value, players sometimes trade these, even though some sites, like eBay, have tried to stamp out the practice, mainly because so many of these assets are stolen. On top of that, crooks also offer for sale credits and virtual assets that they don’t even own. Action: No matter how tempting, just don’t trade this way. You’ll likely get your fingers burned. Again, this is a variation of a well known scam — phony work from home jobs. In this con, scammers tell victims they can earn up to $100 an hour testing beta versions of online games and other video entertainment — plus they get to keep the software. Action: Unless the job is with an established developer, and usually they don’t pay, this likely is a scam in which you’ll be asked to pay for a list of leads or a useless training kit that supposedly will earn you reviewer credentials. Finally, how about playing a real online game that can help you avoid the risks of being conned? The government’s OnGuard Online is the place to hang out, offering a series of interactive quizzes on spamming, scamming, phishing, spyware and file sharing. Try your luck, without risking a penny! For another free anti-scam game challenge, try your hand with Anti-Phishing Phil, an online interactive game developed by Carnegie Mellon University. As you’ll discover, it’s tougher than you think and it’s easy to get caught. But it’s fun, and worthwhile, if it helps you stay off the hooks of an online games scam trickster. Save Big When You Buy Online: Saving money has never been easier when youbuy online with these websites that alert you when the specific item you want goes on sale. Protect Yourself – Prevent Identity Theft by Understanding Crimeware: Learn what crimeware is, how it can affect you, and how to prevent identity theft from happening to you. Yummy Crafts for Kids: Your kids will love spending time in the kitchen with you to create these easy Christmas crafts for kids that are both pretty as well as edible! Christmas Gifts for School Teachers and Friends: Before you blow your budget on buying Christmas gifts for school teachers and friends, try these ideas for quick, easy, and inexpensive gifts that everyone will love. Fast and Easy Decorating Ideas for Christmas: These quick decorating ideas for Christmas will quickly transform your home and give it instant holiday cheer.